Is Trump's presidency finally becoming normal? There seems to be something of an anti-anti-Trump backlash underway in GOP circles. The argument from Brooks and other Trump rationalizers is actually quite plausible: Under Trump, the GOP has been able to pass sweeping tax reform, eliminate the individual mandate, roll back the regulatory state and install conservative judges throughout the federal judiciary, including, most notably, the Supreme Court. The stock market continues to soar, unemployment is down, and the excommunication of Steve Bannon could mark a turn toward a more normal presidency, with rational and prudent center-right figures now steering the policy ship. In this telling, it is not the GOP that has surrendered to Trump; it is Trump who has essentially ceded policy to mainstream conservatives. Trump’s lack of any fixed principles and invincible ignorance on policy means that he is an empty vessel that the establishment GOP can use to accomplish many of its dearest objectives. In this telling, it is not the GOP that has surrendered to Trump; it is Trump who has essentially ceded policy to mainstream conservatives. Indeed, it seems the publication of Woolf’s book has actually emboldened some of Trump’s new defenders, who point out — correctly — that the book’s overstatements and shaky relationship with the truth serve to weaken more reality based critiques of Trump’s presidency. 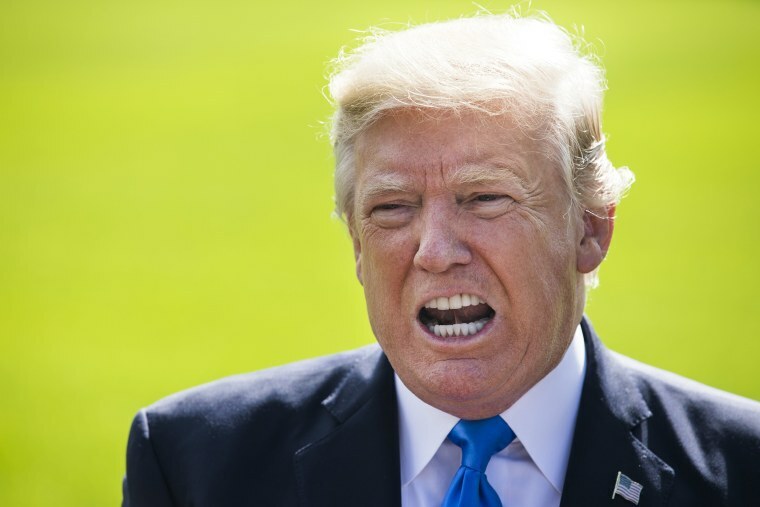 Ironically, by raising questions about Trump’s basic mental fitness, the book has also encouraged some in the media to lower the bar for Trump. At a meeting with congressional negotiators on immigration, for example, Trump was clearly unfamiliar with the details of his own position on proposed legislation. But, expectations were apparently so low for the president some reviewers passed over his ignorance and praised him for his coherence. Here is the problem with that perspective: You don’t have to think that Trump is crazy or suffering from pre-dementia to recognize him as a dishonest, erratic, narcissist who is demeaning the presidency and potentially rendering conservatism toxic for a generation. We absolutely should beware the kind of mindless oppositionalism that lowers our intellectual and journalistic standards. Trump’s character, including his bullying, name-calling, and chronic lying (According to the Washington Post, he has made more than 2,000 false claims since taking office). Conservatives once insisted that character was central to culture, but now, as New York Times columnist Bret Stephens recently noted: “'Character Doesn’t Count’ has become a de facto G.O.P. motto. 'Virtue Doesn’t Matter’ might be another." His pattern of stocking racial animosity, including his empowerment of alt-right extremists in the wake of the Charlottesville demonstrations, and his penchant for picking culture war fights like the one with the NFL. His “shithole” comments were merely the latest in a long string of cringeworthy dog whistles to his base. His ignorance of basic matters of governance, including details of his own administration’s policies from health care to foreign surveillance.His administration’s withdrawal of the United States from world leadership. His admiration of, and fan-boy praise for, autocratic thugs, including Russia's Vladimir Putin, the Philippine's Rodrigo Duterte, and Turkey's Tayyip Erdogan. His administration continues to squander our moral authority as a defender of human rights and freedom. His indifference to the well-documented Russian attempts to subvert our democracy. His assault on and contempt for the rule of law, which may include the actual obstruction of justice. His ongoing attacks on law enforcement, the intelligence community, and the judiciary. His repeated calls for the Department of Justice to prosecute and jail his political opponents. His relentless attacks on the free press, including his call for changing libel laws and his threats to pull the licenses of critical media outlets. His attacks on free trade and his threats to launch a trade war. His ongoing personal financial conflicts of interest and self-dealing. His abuse of the presidential pardon power on a lawless bigot. His repeated use of his office to attack private businesses and individuals. His embrace of accused child molester Roy Moore, an unreconstructed birther, who had been twice removed from the Alabama bench for failing to respect the rule of law. His erratic escalation of a possible nuclear confrontation with North Korea. His administration’s crude and often cruel immigration policies that threaten to deport hundreds of thousands of families and bans that seek to bar millions on the basis of their religion. The president’s many rationalizers would like to believe that objections to Trump are merely matters of taste or style or the president’s “personality.” But as this list (which is hardly comprehensive) suggests, the objections are far more serious. Even with tax cuts and Neil Gorsuch on the Supreme Court, the Trump presidency continues to pose a moral, political and perhaps even existential challenge to conservatives. That has been true from the beginning and there is no sign that will change anytime soon. Charles J. Sykes is an MSNBC contributor and author of “How The Right Lost Its Mind” (St. Martin’s Press.